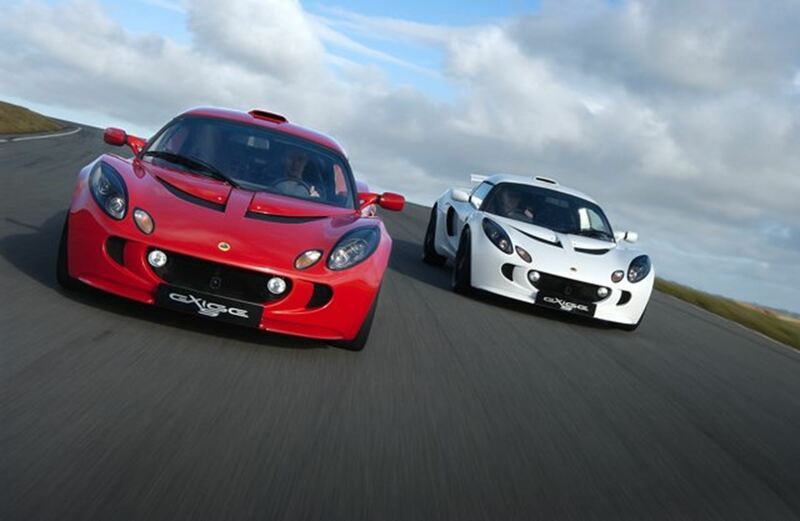 Lotus Elise Sports Racer – more than just a colour scheme. Harking back to some key Lotus sports and GT racer colour schemes (used on some versions of the Lotus Elite, Type 23, and Lotus Elan) from the 1950s and 1960s, Lotus introduces the limited edition Lotus Elise Sports Racer. Two distinctly different vehicles have been produced. The first, in Ardent Red, features a single painted white stripe flanked by two thinner painted white stripes and has distinctive white wing mirrors. The interior of the car is also unique, with matching red stitching set against black leather trim. The second car is Nightfall Blue and has twin painted white stripes running the length of the vehicle. Again, this car features white wing mirrors and has a unique interior, subtly matching the exterior of the vehicle, with blue stitching on the leather. 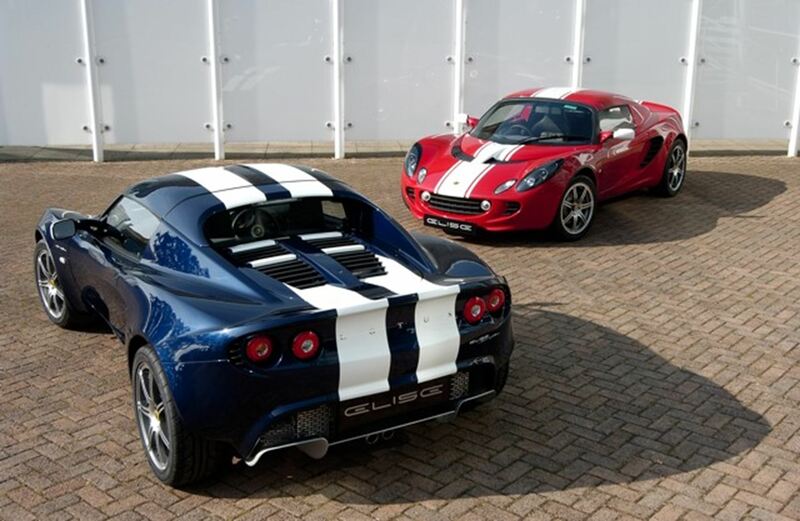 Both the versions have a coloured (red or blue respectively) Elise logo stitched into the headrests and unique Elise Sports Racer decals positioned on the exterior of the car. The Elise Sports Racer will be built in limited numbers with a total production run, across the two colours, of 199 units worldwide with each one given an individually numbered build plate. 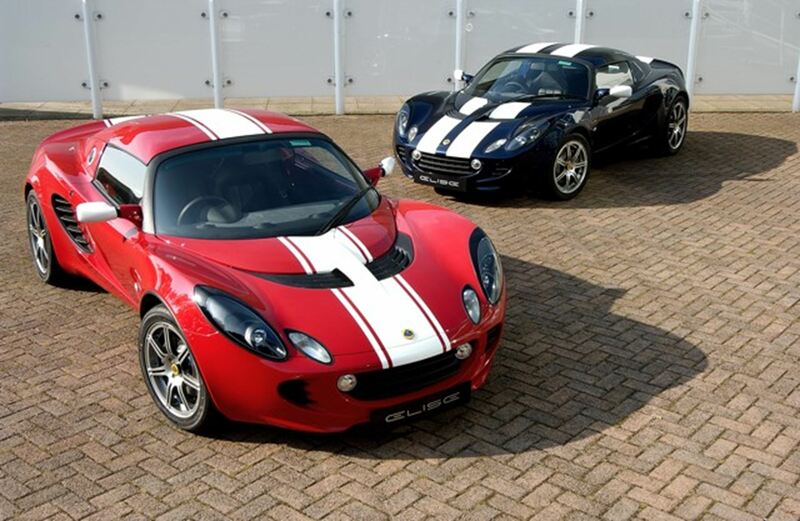 Under the blue and red colour schemes, the Elise Sports Racers use some of the best sports and track specific components available including ultra-lightweight 7-twin spoke forged alloy wheels (saving a massive 1.2 kg of unsprung weight per corner), Advan Neova AD07 LTS tyres linked to sports suspension (uprated Eibach springs and stiffer Bilstein dampers), twin oil coolers and switchable Lotus Traction Control (LTC). 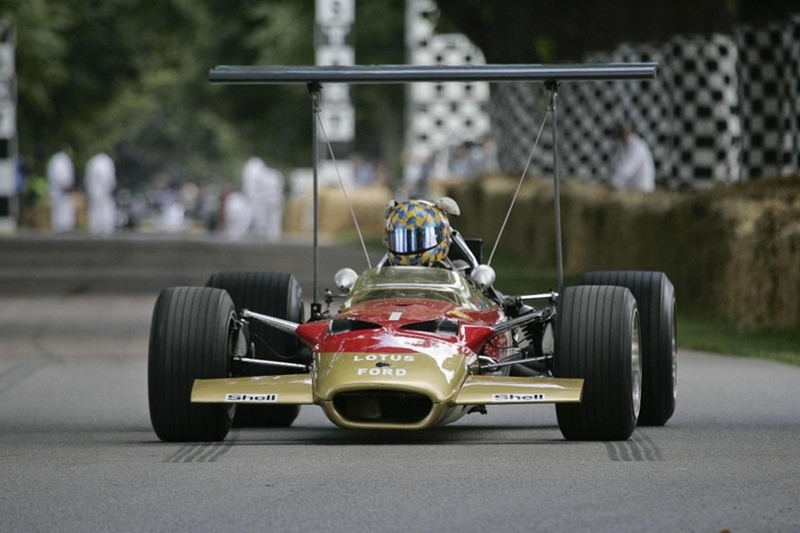 The switchable engine-managed Lotus Traction Control System (LTC) is active above 8 km/h (5 mph) and works through the engine, reducing power when required to maintain traction. 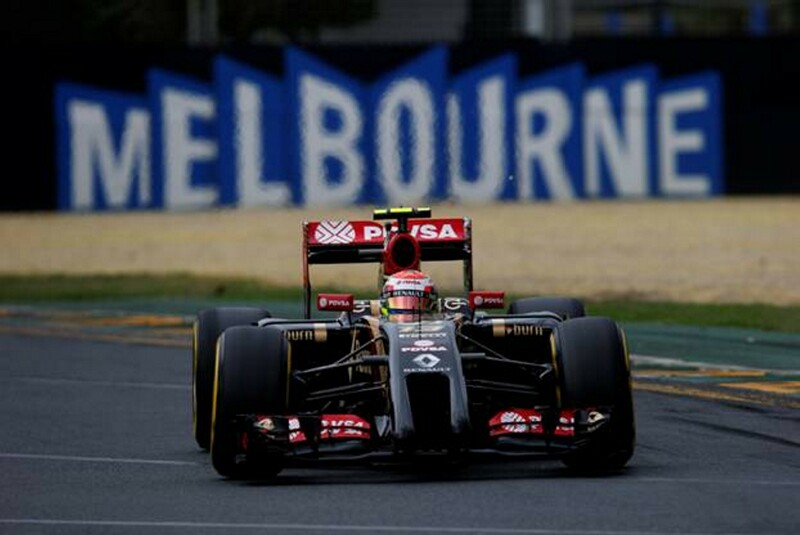 It operates much quicker than many brake based systems. A Torsen-type limited slip differential (LSD) is available as an option for tight low speed, high acceleration driving (such as auto tests). Standard luxury kit includes a colour matched hardtop, central door locking, electric windows, interior stowage net, sound insulation pack, black soft-top with sound/thermal insulation and black full carpet set. 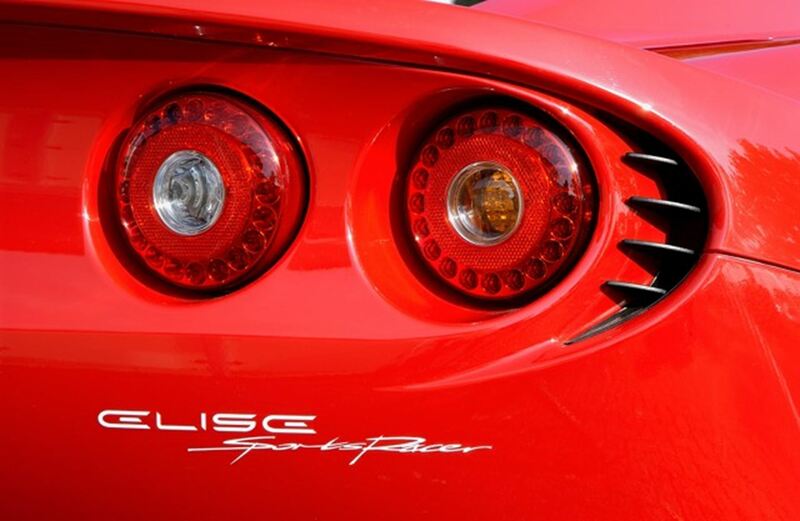 LED rear lights are fitted which are brighter and the brake lights illuminate 2 tenths of a second (0.2 seconds) quicker (or one Elise car length at 70km/h / 43 mph) and are 36% lighter (around 0.6 kg) than conventional filament bulbs. The Proven and High Performing Engine and Gearbox With a VVTL-i engine (Variable Valve Timing and Lift-intelligent) producing a maximum power output of 141 kW (189 hp or 192 PS) and 181 Nm (133 lbft or 18.5 kgm) of torque, the Elise Sports Racer sprints to 100km/h in 5.2 seconds (60 mph in 4.9 seconds) and 160km/h (100 mph) in 13.0 seconds before reaching a certified top speed of 241km/h (150 mph). 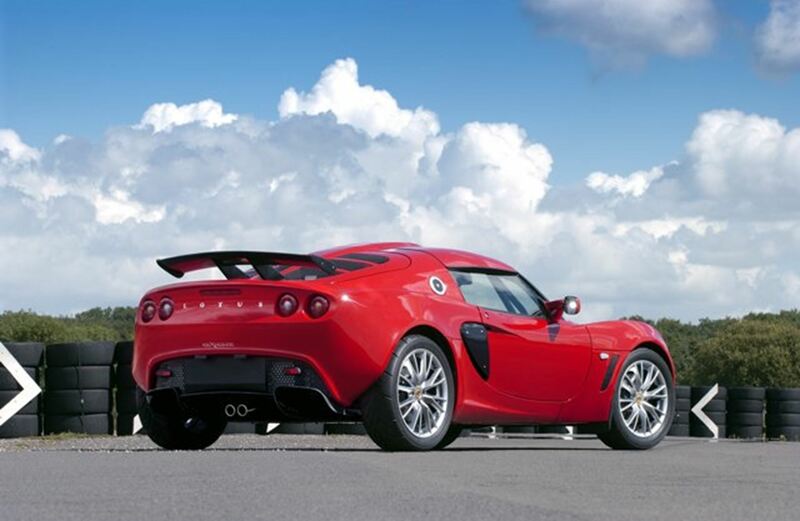 This performance is achieved through a balance of environmental considerations with the fully Euro IV Emissions compliant engine helping the Elise to return 8.8 litres/100 km (32.1 mpg) on the combined cycle, as well as the very low figure of 208 g/km of CO2 emissions. 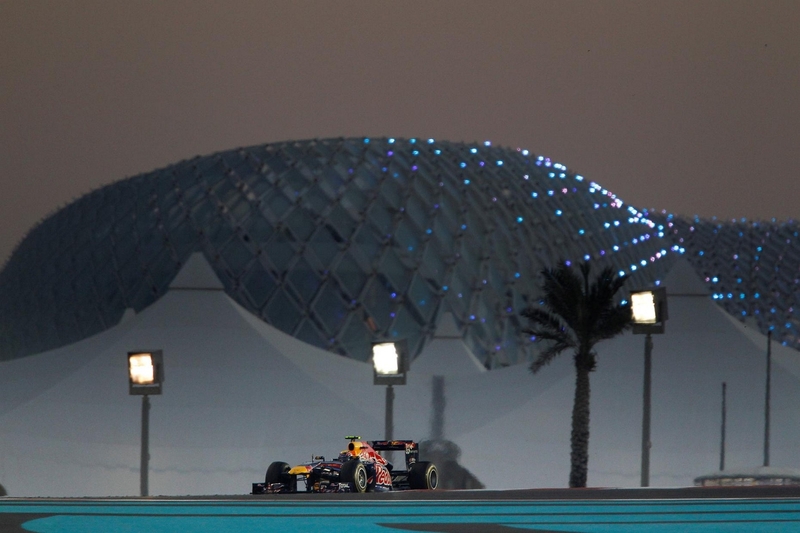 Sometimes steel is lighter than Aluminium! A new lightweight pedal box the Lotus Elise Sports Racer uses a new lighter weight pedal box with forged steel pedal arms and extruded aluminium pads. This new unit, which is lighter that the previous extruded aluminium unit, has an electronic throttle for quicker and smoother engine response, reduced brake pedal ratio and improved pedal feel for the brake and throttle. All three pedals are better positioned for improved “heel and toe” brake and throttle control on downshifts. The cable-less throttle also ensures that emissions are managed more effectively and kept as low as possible under all operating conditions. Air-conditioning is available as an option and weighs in at a featherweight 15 kg. The Lotus Elise Sports Racer is available from Lotus dealers in November 2005 at a recommended retail price of £31,995 in the UK. Other world market prices will be issued shortly.